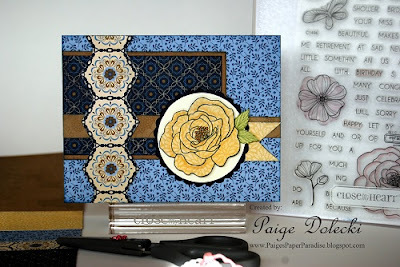 Another Pemberley card, this time using our uber versatile Card Word Puzzle stamp set. 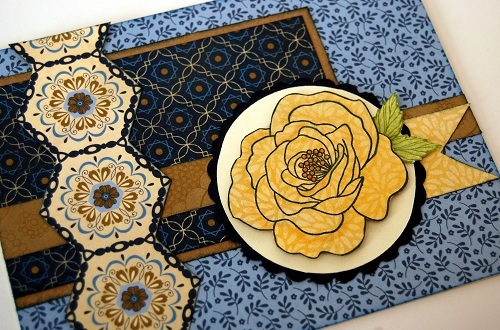 I love, love, love the open work flowers in that set plus all the wonderful words to customize sentiments! This one is based on an older Mojo Monday sketch and inspired by a card I saw on another CTMH consultant's blog - Vicki W. - Click here to see her original.